Betty Mae Barnett Winn, age 95, passed away on Monday, January 28, 2019 in South Jordan, UT due to incidents of age. Born on December 24, 1923 to LeRoy Ellsworth Barnett and Jane LaVerne Cunliffe in Salt Lake City in the family home. Married Charles Elwin Winn on April 14, 1942 in Salt Lake City, UT. Marriage later solemnized in Salt Lake Temple on August 20. 1958. Betty and Bud resided in Copperton where they raised their family and were very involved with the community. Betty worked at State Farm Insurance for many years. She enjoyed spending time with her family. Her favorite hobbies were always sporting related, especially any baseball games, BYU football and the Utah Jazz. She was a faithful member of the Church of Jesus Christ of Latter-day Saints. 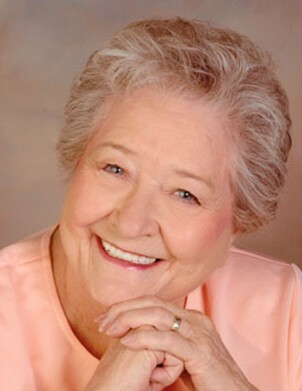 She held several different ward and stake callings throughout her life including Relief Society President, Primary President, Young Women’s organization callings and Stake Relief Society secretary. She especially enjoyed teaching the children in Primary. At age 85 she was called to teach the three-year-old class and loved it. She is survived by her children Betty Walker, Chris (Steve) Maynard, Marge Nerdin, Jane Robinson (Bryon Worthen) Chuck (Marilyn) Winn, 23 grandchildren, 67 great grandchildren and 19 great-great grandchildren. Her sister Jacque Steeneck survives her also. Preceded in death by her parents, spouse, sons-in-law Jim Walker, Jack Robinson and Jerry Nerdin, as well as her siblings Jessie Barnett, Rose Rosequist, Agnes Ivie, Royce Grant, Edd Barnett, Rae Poulsen, Ruth Ohla. She was also preceded in death by two grandchildren, Steve Maynard (Stubb), Tracie Todd, and one great grandchild Roman Newton. Funeral services will be held at the Crescent Park 4th ward building located at 10885 S. Pampas Drive, Sandy, UT on Friday, February 1, 2019 at 11 am. Friends may call at Goff Mortuary, 8090 S. State, Midvale, UT on Thursday, January 31, 2019 from 6-8 pm or Friday at the church from 10:00-10:45 am. Interment Redwood Memorial Estates. Special thanks to Ron and Jacque Steeneck for helping our mom for many years. Also, thanks to Intermountain Hospice and Legacy House for the care they have provided to her this past year.